At Ivy League Nursery, our aim is to create a “Home away from Home” warm and cosy relaxing atmosphere in which our children feel comfortable and confident to leave their parents. Our rooms are extremely spacious, light and airy not to mention exceptionally clean and hygienic and the specific and deliberate decoration serves to foster a very exciting and stimulating environment .We provide a variety of games and activities adapted to the children’s age and stage of development. 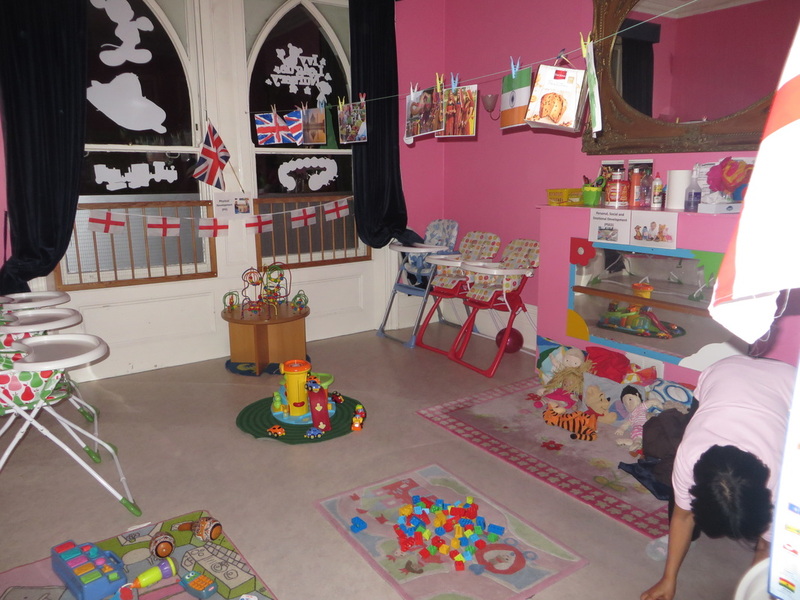 Each day the baby room is set out with various toys. We have building blocks, shape and colour sorters, spinning tops, balls, musical instruments, soft play, rattles, books and many heuristic materials and resources. All our toys and resources are safety checked for this age group and are cleaned and sterilized daily. 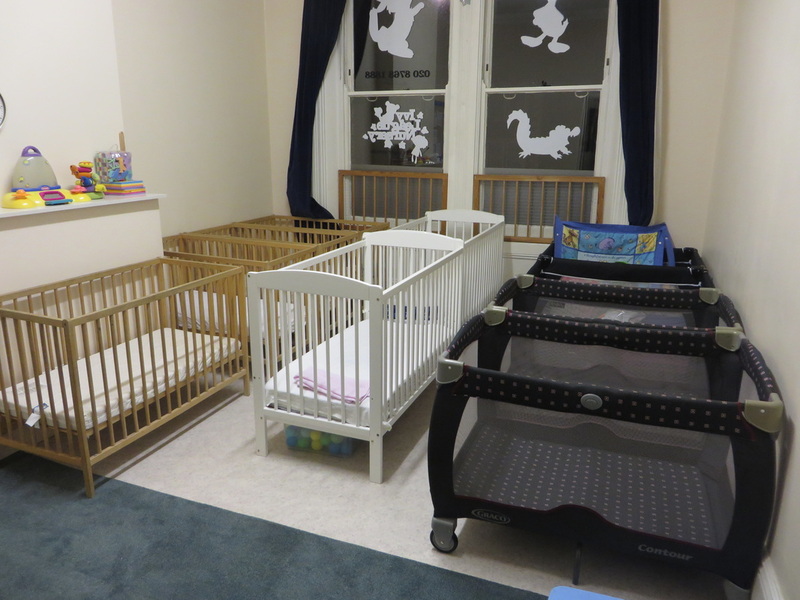 There is a cot room next to the play room which has adequate cots and clean bedding for each individual child. The warmth of the surroundings provides a cosy, relaxed atmosphere for the baby to sleep peacefully uninterrupted. We can accommodate up to 16 under 2 year olds and adhere to the ratio of 1 key worker to 3 children under the age of 2 years old. Our babies and the children are cared for by shared qualified and experienced key workers who provide stability for both children and their parents and we try as best as we can to follow the children’s home routines as this helps to build trust and confidence between each child and their carer. We also give daily record sheets to parents re-telling their child’s day at nursery. We like to work closely with parents and others involved with the child. Close partnerships allow all the important information about the child to be shared, reflected and acted upon. We find that the expertise and experience of both Parents and Early Year’s Educators have most value when they are shared. 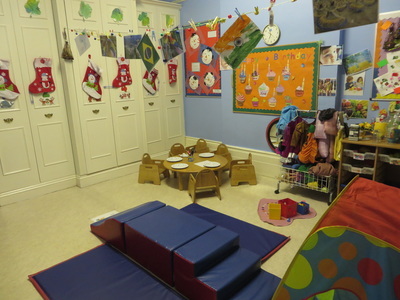 The Baby Rooms work alongside the EYFS Framework. This framework identifies the 3 Prime Areas i.e. 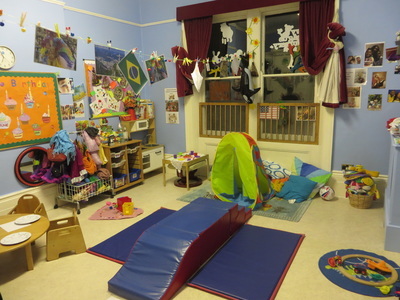 Physical, Communication and Language as well as Personal, Social and Emotional development. This enables us to identify several aspects that celebrate the skill and competence of babies and young children, and highlights the interrelationship between Growth, Learning, Development and the environment in which they are cared for and educated.